This document describes document formats, transformations, imports/exports etc. The above figure illustrates the central role of WikiML in the Wikidot infrastructure. 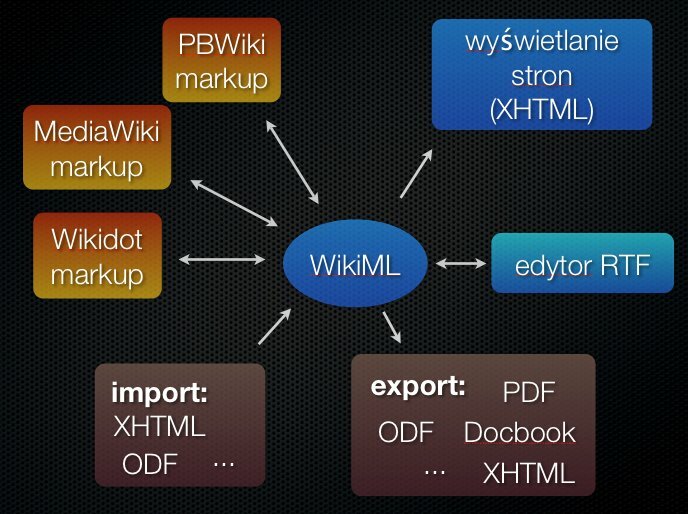 Since WikiML is a XML-based format, several transformations can be performed using tools like XSLT. We also have abstract framework for converting text-based wiki markup (such as Wikidot syntax or MediaWiki markup) into WikiML.